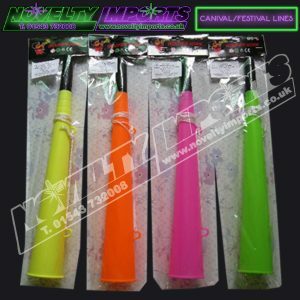 At Novelty Imports, we pride ourselves on the wide range of novelties we sell, in particular, our light up toys. Our stock is always changing, enabling you to supply different items every time, whether it’s for a carnival, fête or sporting event. 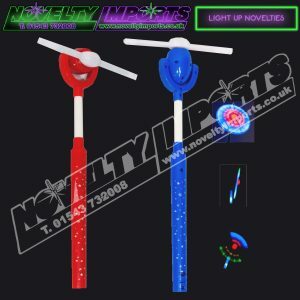 Our light up novelties are always a popular favourite, as they are suitable for all events. They are a fun novelty toys for youngsters for daytime and early evening events, and an amusing novelty for fun loving adults in the evening and through the night. 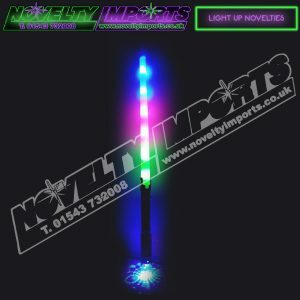 Some of our best selling items are our flashing swords. 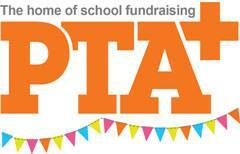 They come in a variety of shapes and sizes and are appropriate for all ages and genders. A fun toy for little girls, or a whimsical bit of fun for the young at heart, are our star swords. A new and improved version of a classic favourite, a princess wand topped with a big pink star is always a hit. It’s lit by 8 LED lights behind a pretty, pink crystal shell. We also stock wands topped with butterflies, which also goes down a storm. 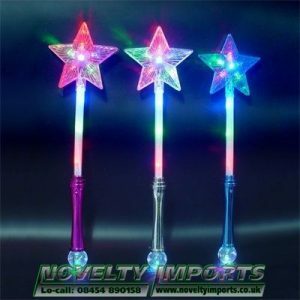 These wands will suit princesses of all ages! Of course, those are not the only flashing swords we provide. We have sabre swords, baton swords, spinning wands and as our stock is always being updated, we have no doubt that we can provide you with something that meets your needs. By buying in bulk you can get a better price per item, giving you a greater profit if you are selling them on. We also offer smaller quantities, though, for if you are starting small. We can deliver across the country, but if you prefer we can arrange for you to collect from our ‘glow-room’ by appointment.